painting the details that others may overlook. 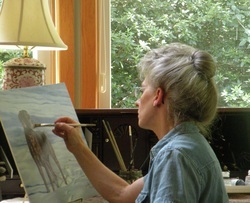 If she can connect with her viewer by sparking a memory, mood, or emotion, then she feels the painting is successful. venues, and her work hangs in private collections in the United States and abroad.